Editor’s note: This is the latest piece of PSP’s season preview on Philadelphia Union. Read the other posts of the season preview here. 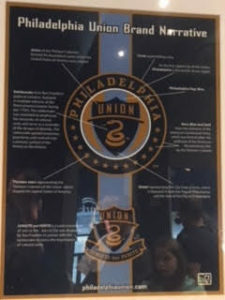 Philadelphia Union has apparently decided to rework its mission statement. What should the Union’s new mission statement say? First, a word about vision and mission statements. The two terms frequently get mixed up and appear almost interchangeable. In general, mission statements are foundational: they state why a business exists and the basis of how the business will fulfill its purpose. A mission statement then informs the vision statement, which describes where the company aspires to be in the future. Combined, these statements try to define the organization’s reason for existing and its outlook for employees, partners, board members, consumers, and shareholders. As a company grows, its objectives and goals may change. Therefore, vision statements should be revised as needed to reflect the changing business culture as goals are met — or not. So it’s probably a good idea that the Union have taken theirs in for an overhaul. After all, the original version dated back to the Nick Sakiewicz era. Let’s look at some soccer-specific M & V models and see how they might inform the Union’s effort to redefine itself. US Soccer mission: “Make soccer, in all its forms, a preeminent sport in the United States, and continue the development of soccer at all recreational and competitive levels.” Wow. Preeminent. Surpassing all others. Very distinguished in some way. Love to see USS’s timetable for that Mission! US Youth Soccer mission: “Foster the physical, mental and emotional growth and development of America’s youth for the sport of soccer at all levels of age and competition.” Noble. Reminiscent of Manchester City’s origins and philosophy. US Club Soccer vision: “US Club Soccer will be the finest soccer organization in America and an integral part of US National Team success.” A solid and ambitious raison d’etre, but wait there’s more…. US Club Soccer mission: “…Will foster the growth and development of soccer clubs throughout the United States to create the best possible development environment for players of all ages in every club.” If you think US Club Soccer has not thought this through, go online and check out their eight-point core values statement. “…(Become) a pre-eminent sport in North America and … among the best leagues (in the world). There’s that pre-eminence hangup again. Just can’t settle for being bigger than the NHL, eh? Barcelona FC mission: “Our task is to treat Sports as the principal point, to Endorse Catalonia via Barça, to emphasize Children and young people as main recipients, and to stimulate education and values.” Brief and to the point. Both City and Barca closely idetify with their communities. And ya gotta love BFC’s Core Values: “We Are What We Eat; reassures the Mediterranean diet and healthy traditions. We Are What We Respect; battles against racism and endorses tolerance. We Are What We Achieve; emboldens sport for disabled people. New York Red Bulls vision: “Build a lifelong connection between the club and community that transcends the sport. We have a mission of building a world class environment for our players and staff.” Echoes of Man City maybe? 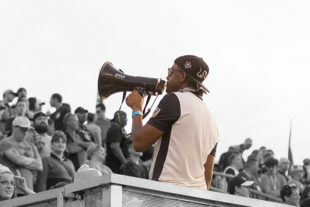 Toronto FC mission: “BRING THE WORLD TO ITS FEET. Our Common Purpose: TO UNITE AND EMPOWER EMPLOYEES TO CREATE EXTRAORDINARY MOMENTS FOR OUR FANS AND EACH OTHER.” It’s an unmistakably UPPER CASE mission for all of Maple Leaf Sports & Entertainment, including MLB’s Blue Jays, NBA’s Raptors, NHL’s Maple Leafs and even the AHL’s Marlies. Literally, motivation in a nutshell for a sports juggernaut. What should the Union’s new mission and vision be? So with all this as background, what should the Union’s new mission, vision and core values be? Assuming the Union front office reads PSP (Editor’s note: They do), here’s your chance to contribute your thoughts in the Comments section below. Let the front office hear you. Play like a 6th place team today! Hold on until league expansion ends. To carry forth in all our endeavors an attitude of local, national, and global excellence. To enact and inspire through tireless effort those values of: Unity. Inclusion. Love. Passion. Commitment. Leadership. Responsibility. this game manifests and represents within every enclave of our great city since it’s beginning, until today and ever forward. Well done, el P, well done. Matt, if the image in the body of the text is the original statement you reference, and if it can be deciphered, might you consider posting the text, for historical interest and comparative purposes? The image shown is not the original mission/vision that once hung in the Chester end upper level club. It is instead a guide to the meaning of the symbols on the team’s shield. The original M/V statement was taken down I know not when. But supposedly it was removed because the FO wanted to rework it. Well it only seems apropos that we unveil our mission statement here as well. Yup, these are our readers.